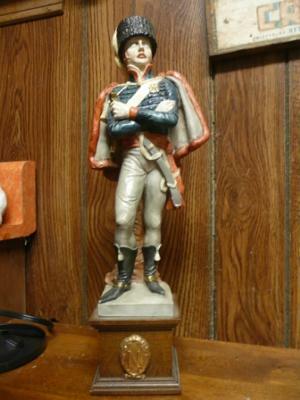 Napoleon Figures, "N" with a crown:- I bought 3 of these figurines at an antique store in the small town I am from. I really just thought they were cool, but now I am wondering where they came from and how old they may be. The man who sold them to me said they came from a house with many grand antiques that was destroyed during Katrina. These statues were survivors. 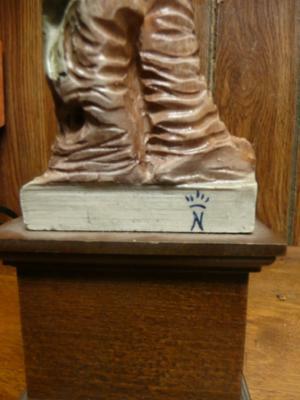 The statues sit on a solid wood base with an “N” made of what looks like copper. I think all three statues are of Napoleon. 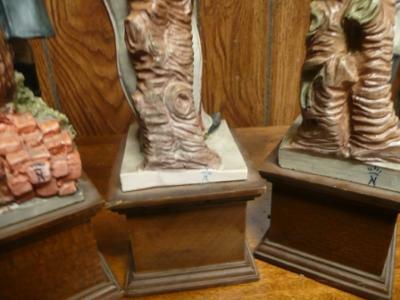 All three figurines have a blue “N” with a crown above on the back base and appear to be hand-painted maybe porcelain. I have tried to research and found the name Romanelli and I believe that was the name the many gave me when I bought them. Then I found some of the “N” and crown signatures tracing to Germany or France. Do you know anything about these Napoleons? 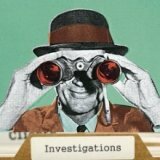 Are there other markings or characteristics to look for in order to determine the origin? I have some pictures. I haven’t have a chance to clean them up. They stand about 12 inches. Many thanks for this brilliant submission. Great talking points. We have had a couple of these queries lately. Nice quality porcelain soldiers with the N mark and crown. You can use the search box on the homepage to see the other answers I gave, but basically, the N mark has been used by Italian, German and French makers, so identifying the maker is hard. 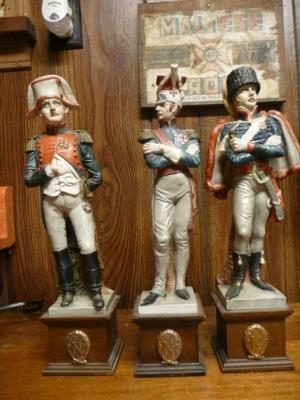 What I do know is your items are of high quality of make and sculpt and I saw an auction at Christies recently where a group of 12 Napoloeonic military figurines were sold for $6,875 USD when the estimate was $800 - $1,200. This may have been because the set was specifically a full set of Napoleon and his generals. 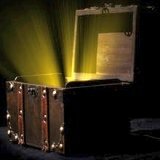 Other collections might not be so valuable. The other thing I am pretty certain of there are many hundreds of variations of the N mark, from amny hundreds of makers - all looking to bathe in the kudos of the old Royal Naples factory of the Capo de Monti. The Doccia Ginori factory tried to save to remains of the original burnt out factory in around 1807 (during the Napoleonic wars in Italy). They would have inherited the original N marks, but actually designed this exact mark in 1835. Since then, they somehow lost or never had protected rights to this trademark logo and it has been used again and again by every man and his dog. Your pieces might just have the provenance to be the actual Ginori pieces of that period, buit you would have to check with a qualified historian. With regard to Romanelli, I don't know of any association in porcelain with that name. 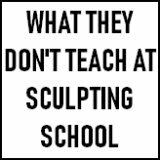 There is the world renown sculptor Pasquale Romanelli famous for his marble studies of the female form, but if there is any hint of an association with that artist, you had better pay for an expert appraisal today.